Once you decide to buy a home, it’s tempting to run out and start seeing houses immediately. There’s a very specific formula we use with clients to make sure they end up with the house that best fits their needs and budget. It requires some patience to make sure things are done right. This is the biggest financial decision of your life, and it should be done slowly, steadily and with precision. We covered the first very step in Week 1 of our series. Go back and reread 12 Questions to Answer Before You Step Foot in an Open House. That way, you’ll know your deal breakers, “must haves” and lifestyle goals. Now that you’ve answered the 12 Questions, you can move forward. Here are the next three things must not skip! Don’t even think about doing that because you will end up wasting time, getting confused and, ultimately, buying a home that you will regret. Be honest with your agent and soon you’ll get a sense if you and your agent will be compatible and well-suited together. It’s important to have a good working relationship and be attuned to each other. That way, your agent will “get” you and be able to also anticipate your likes, dislikes, and needs in a home even better than you may at this point. Then, let them take the lead on the next 2 steps. Based on your answers to the 12 Questions in Week 1 (LINK), you should be able to draw clear and strict boundaries of where you want to live and where you don’t. Remember that the location of your new home will affect everything about your lifestyle and daily routine. This home should work for you and your family for at least the next 5 years or more. It’s really tempting to see a great home online and want to run out and see it, but if you don’t want to live in that area for one reason or another, don’t go look at it! If you could live in any neighborhood, which would it be? Is there specific neighborhood or even another similar neighborhood you picture yourself living in? 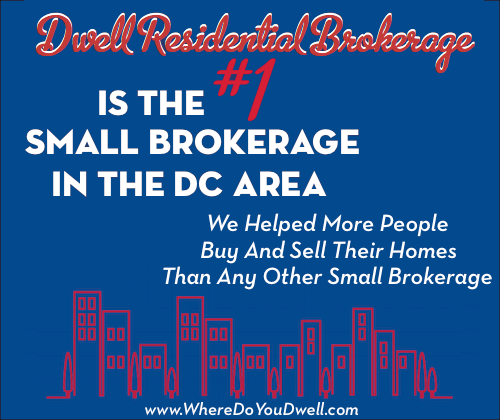 For just one moment, don’t think about whether you can afford it or if it’s a “good investment” or not, just verbalize what neighborhood you just love! Why do you like that neighborhood the most? What characteristics draw you to like that location most? If for some reason you aren’t able to buy in that location, perhaps we can replicate the characteristics in a very similar neighborhood. Be open to the possibility of another neighborhood with the same feel, look, and lifestyle you’re seeking. Are you willing to make adjustments to the type of home you will purchase so you can afford a particular neighborhood? Your price range will determine the neighborhoods that you can buy in and the type of homes you can afford. Are you willing to forego a single-family detached home for a townhome as long as you can live in that neighborhood? Can you say good-bye to that master bathroom to live in that neighborhood? Once you have narrowed down to one or two neighborhoods, your agent can start to show you homes that match your price range in these locations. But first, you should consider your options for a home type. Now you should have a better idea of what type of home you can afford in a particular neighborhood that fits your budget. Are you happy with the results? Even though you may already have a specific idea on a type of home, be willing to discuss and look at other options, especially if being in a certain neighborhood is a priority. You may be surprised by what you may like! Keep in mind that this first home doesn’t have to be your “forever” home, but it should at least fit your lifestyle for the next 5 years or so. There are pros and cons to all types of home, and that is something to discuss with your agent, who can help you sort through the details of each. A condo unit in a building can provide homeownership for less cost since you don’t have a yard. You’ll also benefit from some onsite amenities such as a pool or gym, maybe a doorman … but remember you will have to pay HOA fees. A townhome can give you a bit more privacy and independence compared to a condo but may cost more. Plus, there is usually lower maintenance and cost than a detached, single-family home with the same interior space. A detached, single-family home will give you the most independence but can be more costly. It usually requires more maintenance both inside and outside. Are you ready for that responsibility? Remember, you may waver between two types of homes so plan to look at both, especially in the early stages. Once you view a few townhomes, you may decide to cross them off your list. But maybe one has the space and location that just wows you. You won’t know until you actually visit in person. Now that you’ve completed these three important steps you should not skip, you can move forward. It’s time to figure out how to pay for your new home! Next week, we’ll cover how to budget for and finance your first home purchase. 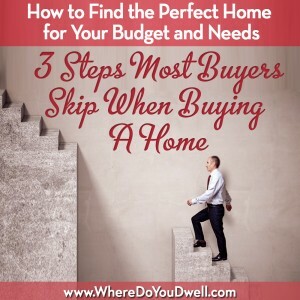 Stay tuned for this 3rd installment in our 4-part series, How to Find the Perfect Home for You and Your Budget.